This Taurus New Moon takes place at 7:50 on 2 May 2011 and in 12° Taurus 31’. The time preceding the New Moon traditionally involves a confrontation with release and death of the old cycle, as well as the shape-shifting into another cycle. The New Moon is an ideal time to explore your connection with God, the Divine, Spirit Guide or Core Multidimensional Identity (CMI). This also involves inquiring about the way we relate with the Divine, finding out if our connection has become impaired and, if this is the case, how and why. On a New Moon I often experience a glowing sense of melancholy. I can discern the caring company of the Divine, or Spirit Guide, and also the struggle to completely accept his-her presence. This is the anxiety of experiencing the luminous side, knowing that it will draw the dark side. The Spirit Guide is aligned with unity and is beyond all polarities. Therefore it inevitably attracts what in my awareness is separate. The Guide is light and cannot conceive obscurity. What I perceive as dark is luminous for the Guide. Yet the moment I do experience darkness my heart shrinks and I cut off from the Guide. As a result, darkness remains dark, and my relationship with the Guide continues to be split and controversial. The training involves encompassing both darkness and light. Light manifests itself as awareness. Experiencing darkness is part of the process of bringing light, as long as this does not lead into polarity and conflict with either darkness or light. Once I bring light into the darkness, then there is no darkness anymore. This reveals a totally new landscape, where fear, terror and other grievances are transmuted into love, joy and ultimately unity. Once the relationship with the Guide moves beyond the nurturing and initiatory level, it inescapably involves the unveiling of the dark side. Darkness is the other side of the Guide. This is what I find when the honeymoon is over. Just like the night follows the day, darkness comes after light. Since on a New Moon the Sun and the Moon are both in conjunction, there is potential to experience idyllic moments of unity. On such occasions I may feel the Guide’s presence so strongly, yet there may also be so much sadness, despair and fear. Where does it come from? Why do I feel so miserable? What have I done? The answer I receive from the Guide is that this is part of the healing work. It implies becoming aware that these gloomy feelings are the dark side of the Guide. This is the part that, once accepted, leads me into the authentic experience of unity. It comes to me whenever I have blissful luminous experiences. It arrives in the form of fear and other grievances. It brings death and rebirth. Yet this death is not opposed to life. It is the denied side of life, the secret lover that in my bravest dreams I crave to reunite with. If I create an antagonism with the dark side, I can have some temporary relief, yet I miss the lesson of the cycle. The incorporation of the dark side is the foundation of true healing. It is quite a huge leap, for when I confront with the dark side I perceive myself isolated from the consensus reality based on the denial of the dark side itself. The consensus reality provides a provisional relief and sense of unity. I am grateful for its compassionate support. Yet there is an expiry date. Although it can be denied and postponed, the confrontation with the dark side is inevitable. From the Guide’s perspective, I am in a hallucination based on polarity. Here everything appears confrontational and predatory. This is the obvious result of separation. I perceive myself as separated and therefore I need to defend my separated bit. I defend myself from whatever can threat the fragmented identity that I believe to be. I protect myself from other people, and also predatory animals (from tigers to ticks), environmental conditions, natural phenomena, weather, etc. This is a forlorn war, since in the end my fragmented bit will succumb. Holistic healing involves acknowledging, retrieving and incorporating the fragmented parts, which are basically those that my separated self is at war with or terrified of. During the New Moon time there is a temporary crisis in the motivation to fight the polarity war. Since the Sun and Moon are united, the reality based on separation temporarily falls apart. For the fragmented identity it is a most dramatic event and death, whereas from the astroshamanic healing perspective it is the gateway to ecstasy. On a New Moon the game of separation suffers an inexorable crisis. The two polarities are at one. If I have started the previous cycle with a healing Intent, this is the moment when I gather all the pieces I have retrieved and put them together. The separated parts die and are reborn into a unified part. The perception of such an event changes according to separation or unity. This is what causes such contradictory feelings. It is also a solitary process, death and rebirth. This is a paradox for, although this is happening to everyone, I seem to be the only one who dies. Please be aware that you are not alone. Death and life blend themselves on a New Moon. The secret is unveiled. Here I face the opportunity to start a new cycle based on healing. Here I can release the temptation to fight another war. Let’s join forces on this New Moon. Let’s allow our individual grievances to be collective grievances. Let’s give our consent for our dark side to meet all the other dark sides. Let’s allow this collective dark side to meet its luminous counterpart and become one. Let’s employ whatever we experience on this New Moon as fertiliser for a healing Intent. This will initiate a new cycle of the Moon based on retrieval. After the New Moon the two polarities will separate again. Yet this departure is aimed at retrieving the fragmented pieces. Consequently, after a whole cycle, on the next New Moon they will incorporate and become one. This is an invitation for you to join this enterprise. What I invite us to do is to collectively share our experiences of the dark and the luminous side. This is something that could occur at every New Moon, as well as at every Full Moon. The first stage of healing and retrieval of unity, as I see it, is connecting personal experience/history to collective experience/history. The second stage is connecting collective experience/history to spiritual experience/history. One by one, and together, we can decide to take this first crucial step. Let’s come together and unify our solitary release paths on this New Moon! Let’s be united both in our misery and bliss. Let’s prepare and adorn the wedding chamber for the ecstatic encounter of the two polarities. “I am a part of you, you are a part of me.” Let’s ground this awareness in our hearts and throats. I regard this cycle in Taurus as a potent opportunity for reawakening the multi-dimensional awareness of the physical body (i.e. the separated bit) and establishing decisive foundations for its luminous manifestation. This is a time of great fertility, emphasizing the shift from ideal to practical, i.e. the crucial moment when what exists in your imagination has the chance of being represented in the ordinary. When multidimensional elements are at work, what is manifested is beyond ordinary hallucinatory human ideas of what is good or bad. With this solar-lunar conjunction in Taurus the multi-dimensional impulse of Aries faces the audacious prospect of fertilizing human separated third-dimensional reality. This also involves the possibility of grounding and growing the related sacred seed, which in astroshamanic epic terms is called Sacred Cone. The Sacred Cone is a strategic and provisional device aimed at incorporating lightness and darkness, which is an incompatible prospect in human ordinary reality. 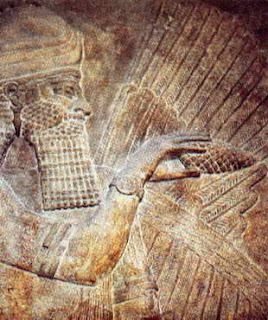 Here Aries is the pioneering, brave and passionate seed-carrier. It is the positive reproductive cell, the multi-dimensional spermatozoon. Third-dimensional spermatozoa are motile cells with a prominent head and propelling tail. They are stirred by the impulsive craving to attain their target, which ends up being for the most part inaccessible. As a result they tend to lose sight of the original intent, with the compelling desire itself becoming the primary purpose. Several hundred millions of spermatozoa are discharged on each of the countless expeditions to the target. On most cases the target is entirely missed. When the sperm eventually does reach the goal, only a few hundred spermatozoa manage to arrive at the gate of manifestation (the Fallopian tube), and only one may heroically make it to the fertilization chamber (the ovum). All the other sperm is sacrificed. Access to the ovum is allowed only to one spermatozoon. This solitary cell then undergoes further trials. If it does not succeed in fertilizing the ovum and implanting in the lining of the uterus, it will also be sacrificed and released through the menstrual period. If it does manage to survive, pregnancy and manifestation will follow. One of the obvious sign that the spermatozoon has subsisted, will be lack of sacrificial blood, i.e. a missed menstrual period. At a multi-dimensional level the process is analogous. Something in the routine may be missed. Yet this, if I am determined to give birth at that level, far from being an issue, holds the potential of an abundant blessing. 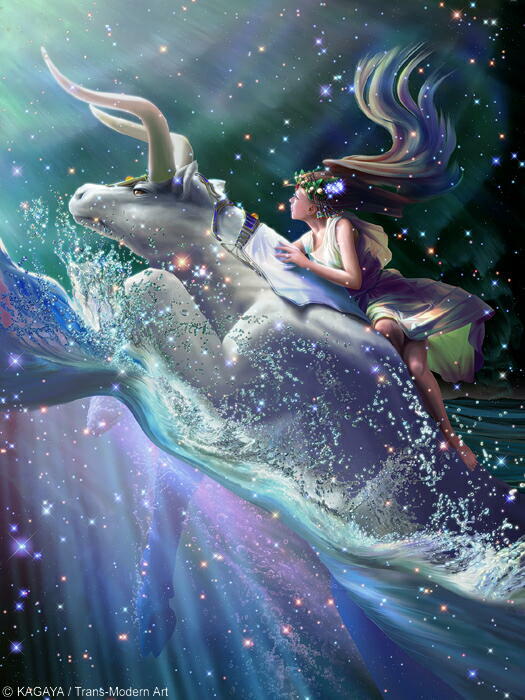 The New Moon is customarily a mystery time, which in this case of Taurus, may involve coming to terms with something emanating from another realm that wants to be manifested in this third-dimensional reality. 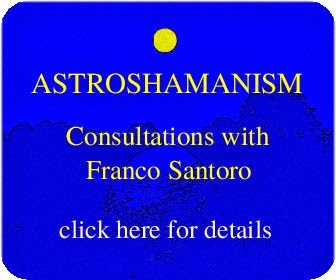 For me it is also an opportunity to practically verify what can be done here in this third-dimensional reality in order to support healing, which is here luminous incorporation of the dark side. What drives my Aries passion is the ardent motivation of coming together with other human beings in order to promote the above. Taurus brings the quality of patience and endurance, yet it also thrives on tangible results and manifestations. It goes beyond the ideal and confronts with forms. My question for me and you is: what can I practically and third-dimensionally create with other third-dimensional beings in order to promote luminous incorporation of the dark side? 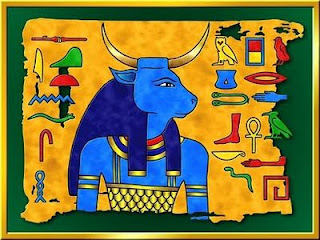 The Taurus New Moon takes place at 7:50 on 2 May 2011 and in 12° Taurus 31’. This is an ideal time to explore your connection with the Divine and the different polarities within ourselves.